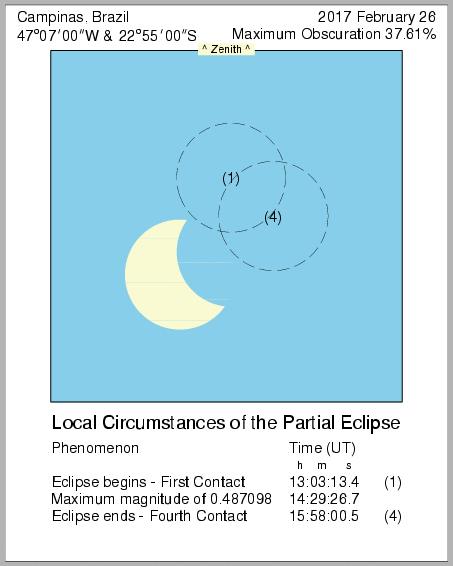 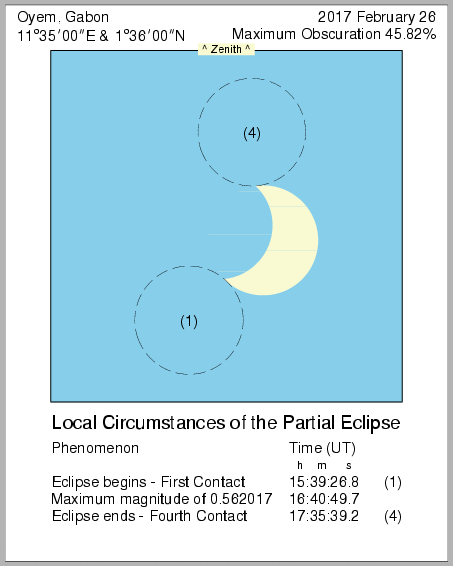 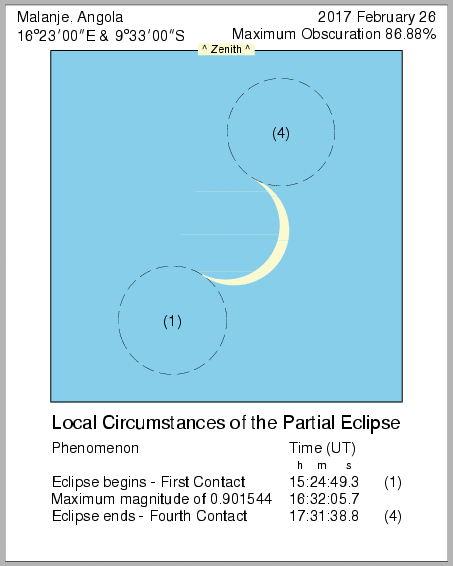 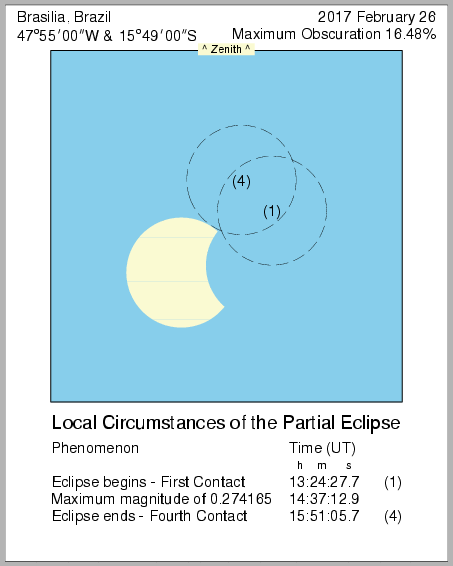 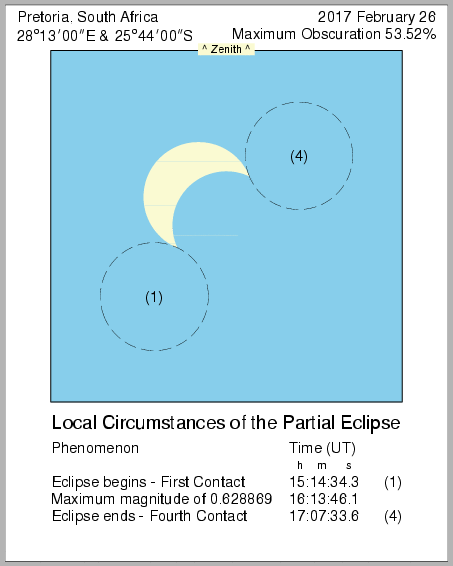 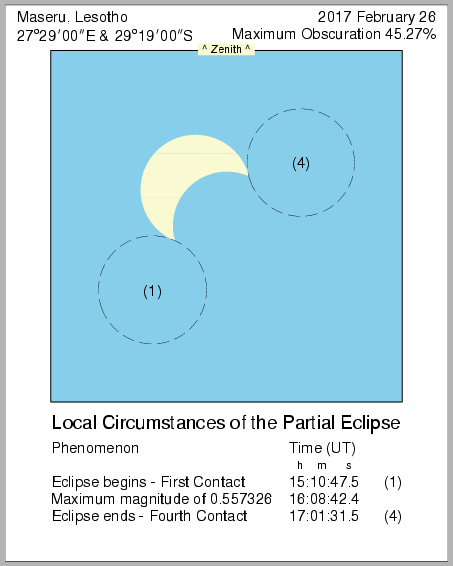 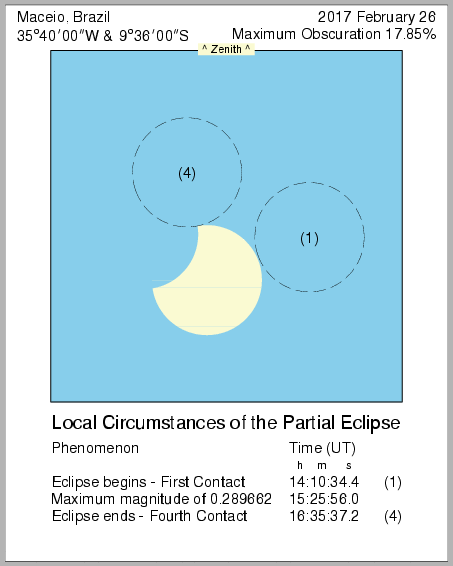 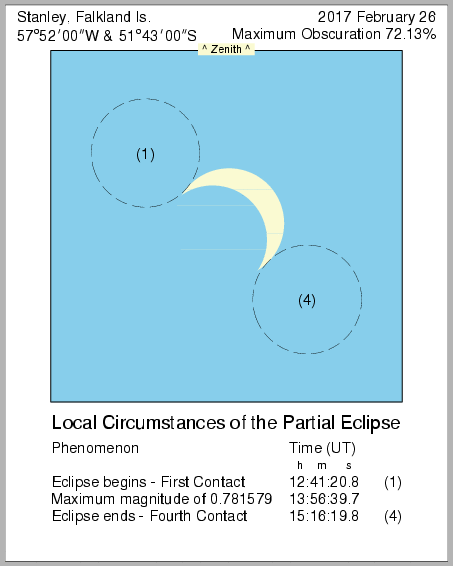 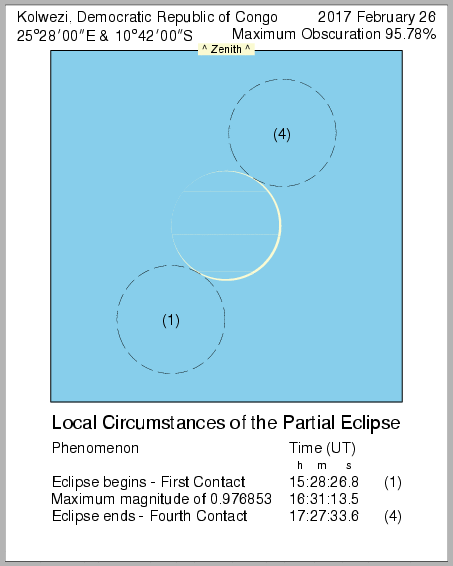 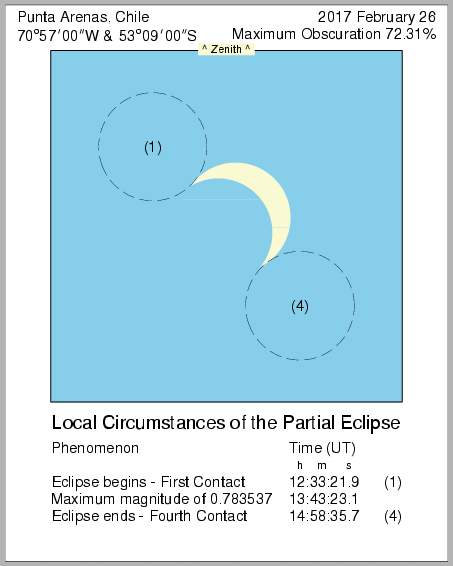 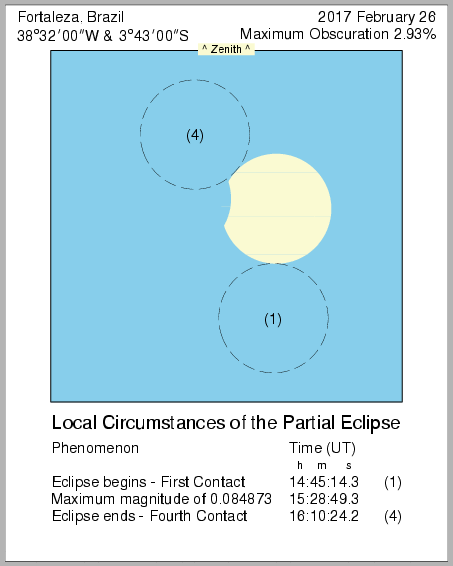 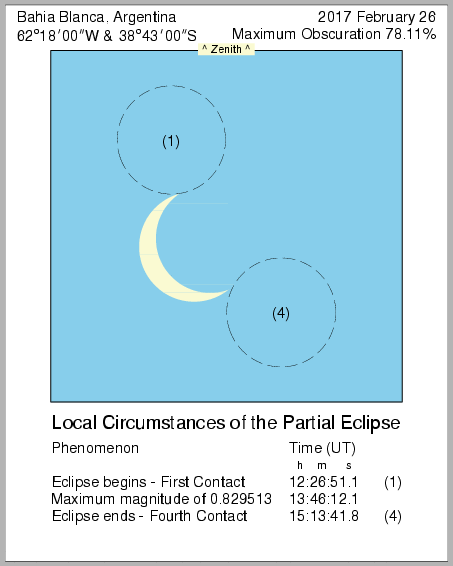 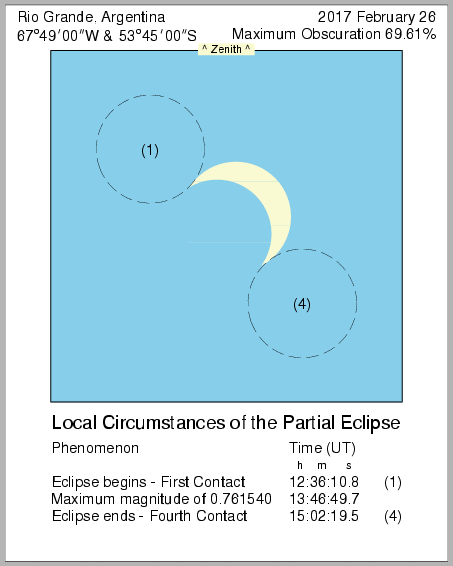 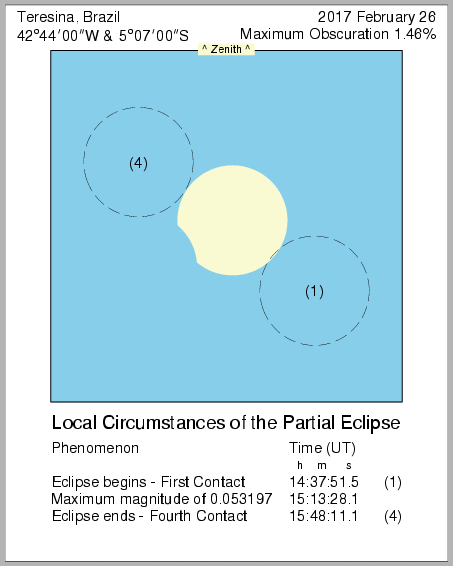 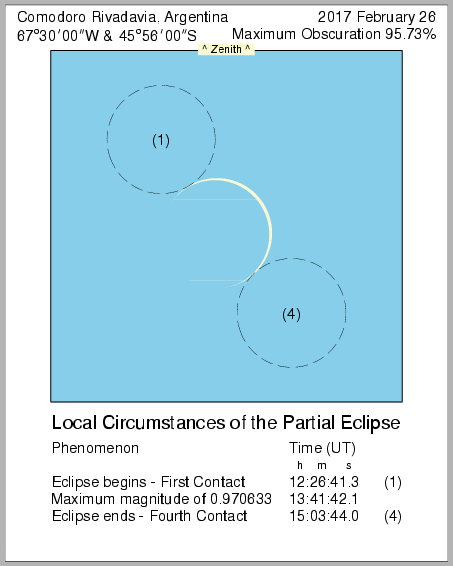 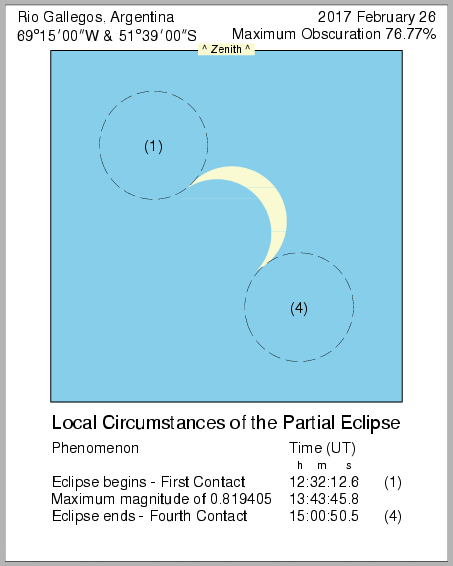 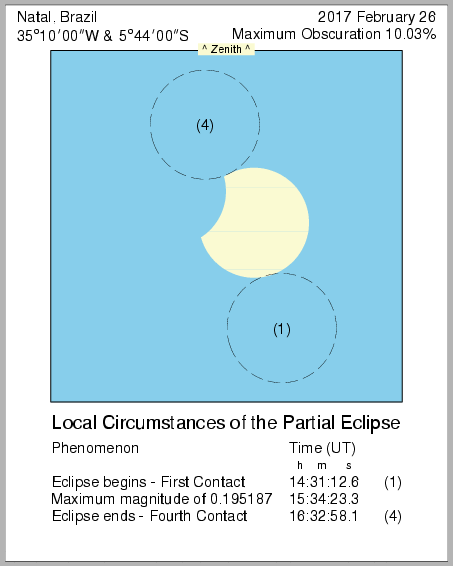 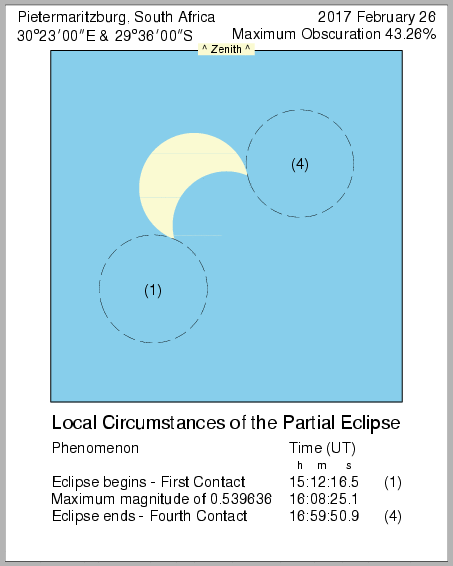 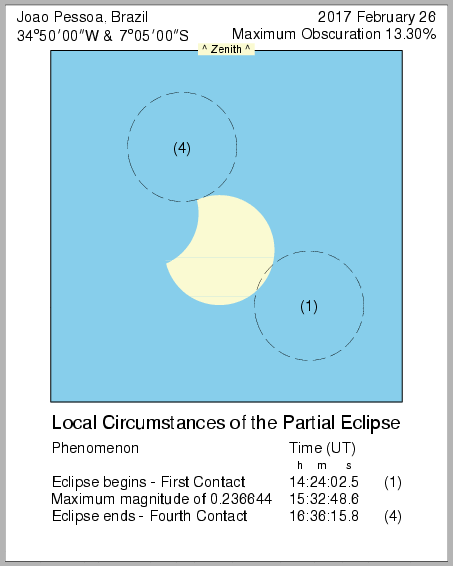 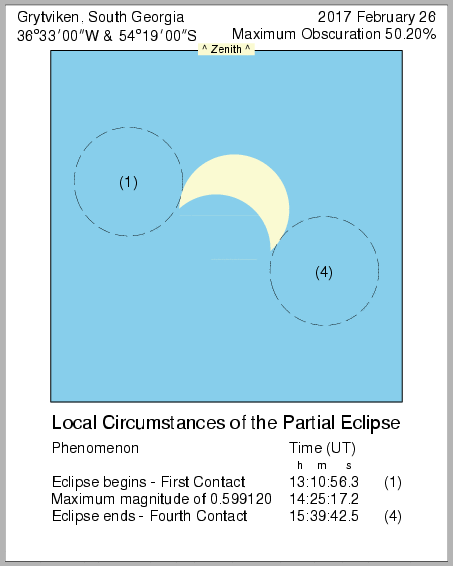 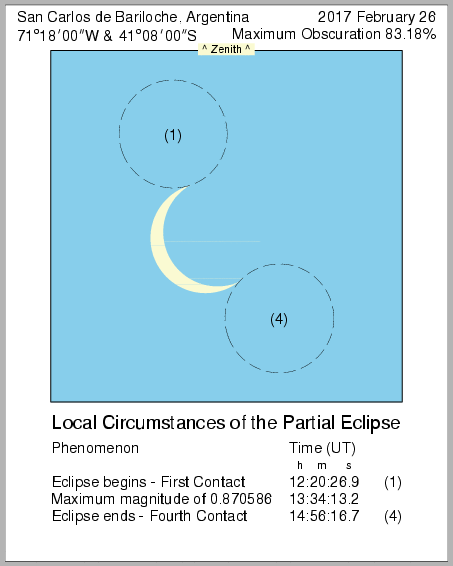 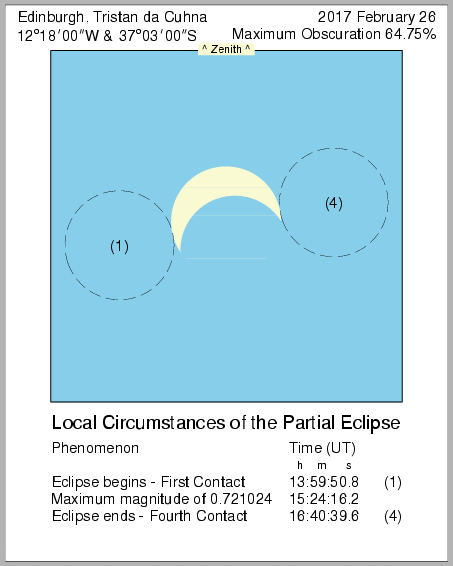 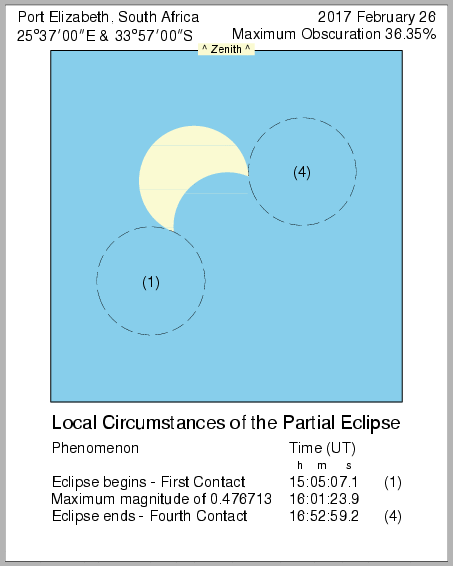 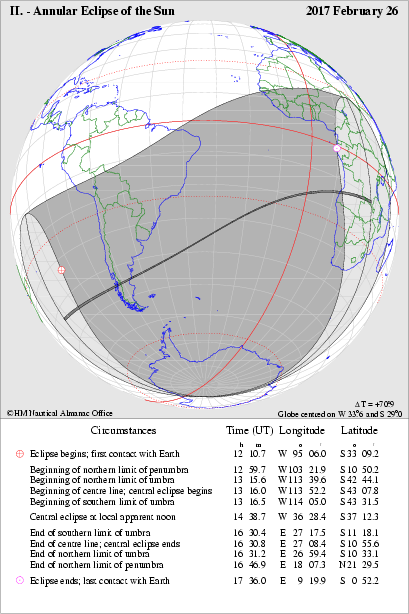 Diagrams showing the configuration of the eclipse including the local circumstances are available for the 220 locations given in the following table. All timing information is given in Universal time (UT). 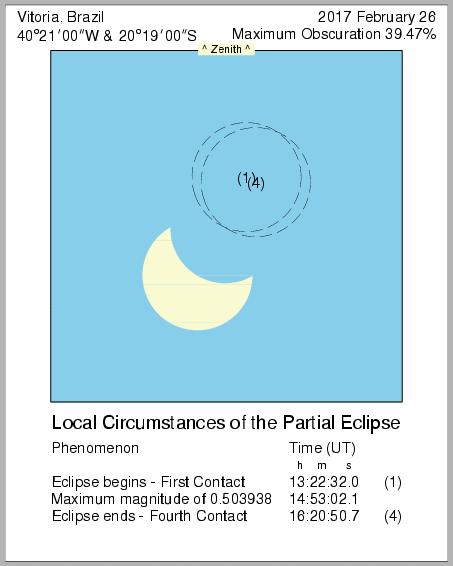 Animations showing the progress of the eclipse are also available for the locations specified. These animations can be as large as 275kb in size. It may be necessary to download these files for optimum performance. Eclipses for the locations listed in the following table in the period 1501 CE to 2100 CE can be found by following the location link. A location which lies within the path of annularity is highlighted.